okay, so much for getting back into the blogging groove - well, at least it hasn't been weeks or months since i last posted here on the mouse. even though i've been pretty regular over on my other blog, the lakewood daily snap, i fear my posts and pictures haven't been very inspired this summer. oh well. it is what it is. i can't believe today is the last day of august. not considering the weather it has been a very pleasant summer . 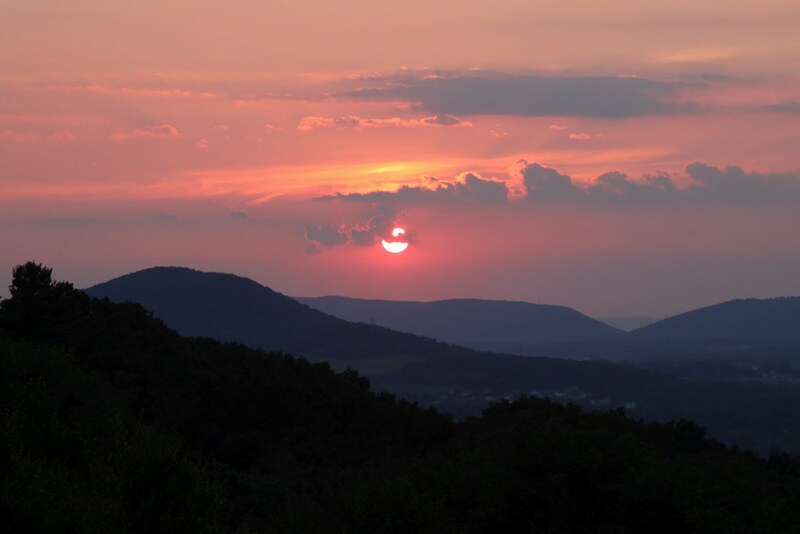 last weekend i went off on one more wee road trip to attend a wedding in northeastern pennsylvania. 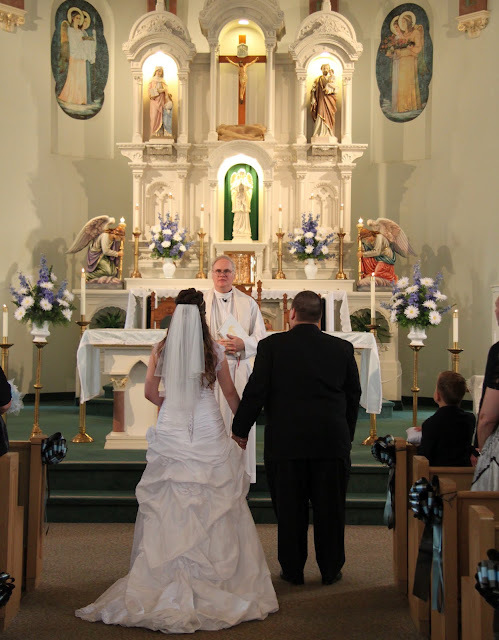 unlike the wedding of my nephew we attended this spring in florida, this wedding was very traditional. even though it was traditional it too was a beautiful and moving. on the way to the wedding which took place in mcadoo, a small town located in northeastern pennsylvania. 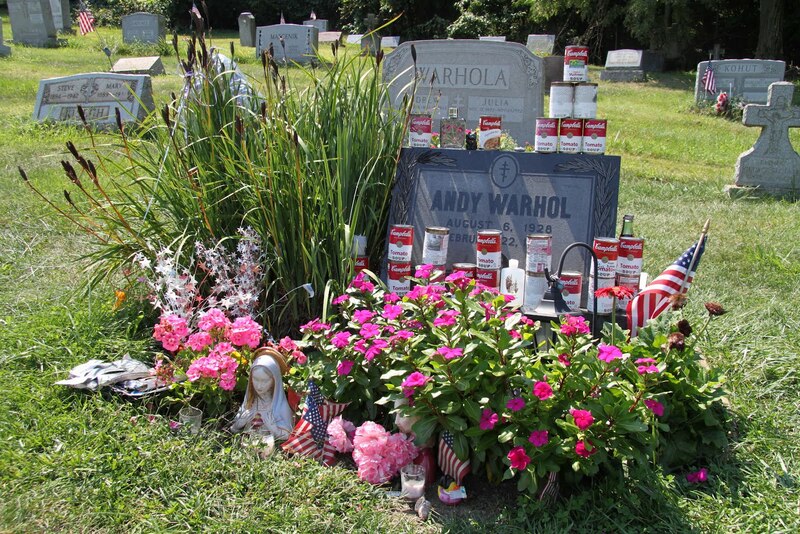 i took a detour to a little town south of pittsburgh in order to visit the final resting place of andy warhol. earlier this month npr featured a story about andy's grave as part of this summer's dead stop series. the visit to the cemetery where andy is buried was the second dead stop i made this summer to visit notable dead people. on my midwest roadtrip in july i visited a cemetery in chicago where many activists and labor leaders are buried. 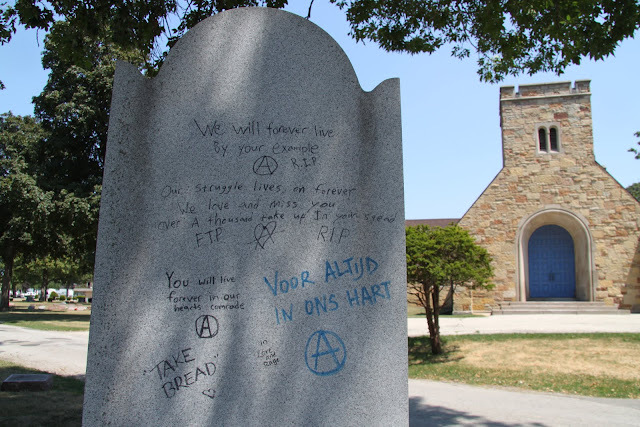 on the back of emma goldman's grave it appears that graffiti is the gift that folks like to leave - not really my style, so i just left my little tokens of respect - a rose and a piece of bread, on the front face. 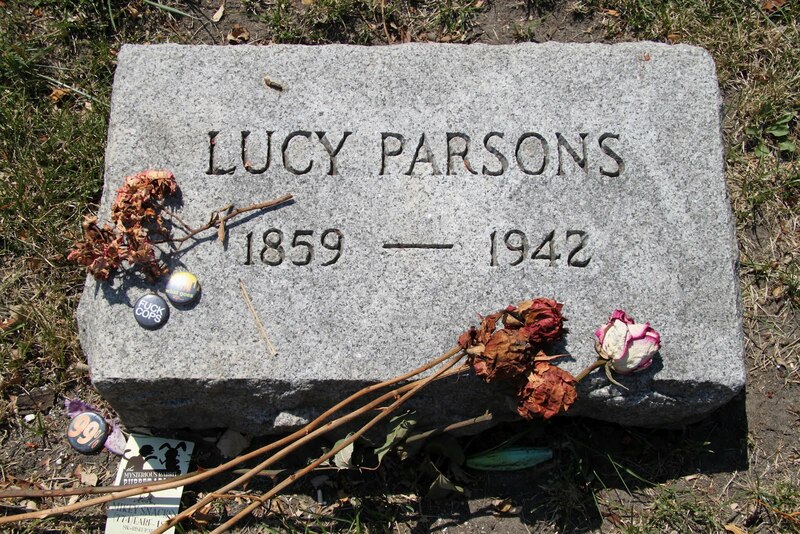 unfortunately i forgot to bring anything for lucy or the others buried in forest home cemetery. the hot weather we had during most of the summer will be coming back today - it is expected to reach 90 degrees today here on the north coast. i hope this will be the last hurrah for hot days. happy labor day - and while you are enjoying the last long weekend of summer don't forget to give thanks to the unions and for all they have done to help make the world a better place. si kahn performing his song gone gonna rise again - a moving homage to his grandfather and a lovely melodic reminder to give praise to our roots. the song appears on the si's 1994 album in my heart it is a folk standard and has and has been covered by many others including john mccutcheon and the gordons. High on the ridge above the farm I think of my people that have gone on. Cemetaries are such fascinating places to me. I'm glad you left such respectful and thoughtful memorials at the graves. And that first photo with caption is awesome! I was reflecting in my veggie garden the other day. The vines and plants are dying, and at the same time, creating seeds for next year. It is the mystery that, at 74 yrs, has taken on a renewed meaning. Appreciate your posts dear mouse, whenever you post! kimy, Pittsburgh has been named as the #1 place to retire on $100 per day. That is equivalent to the Aggy couple's combined SSI. What do you think? You know, I intend to be cremated when I die, and so do many of my relatives and friends. Burial seems so wasteful. 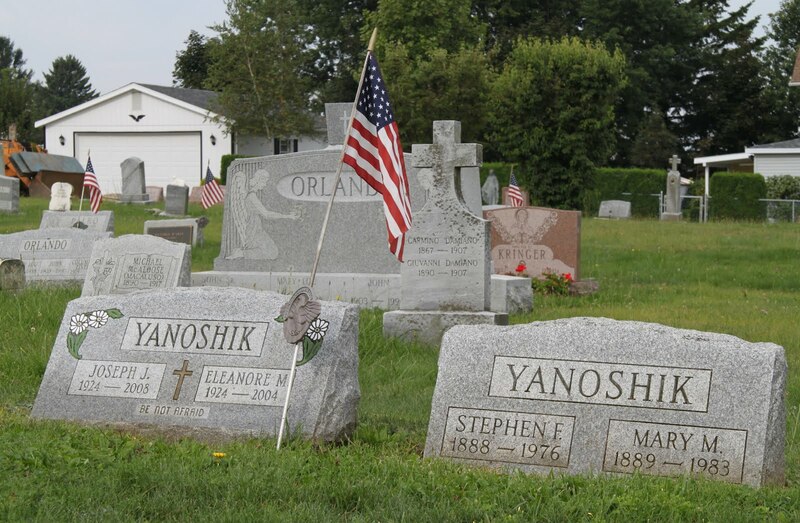 But there's something to be said for having a headstone that people can visit, isn't there? I love all the soup cans at Andy's grave. Classic.